Have you already seen Mario Kart, a fun racing game where players compete against each other on racing tracks? 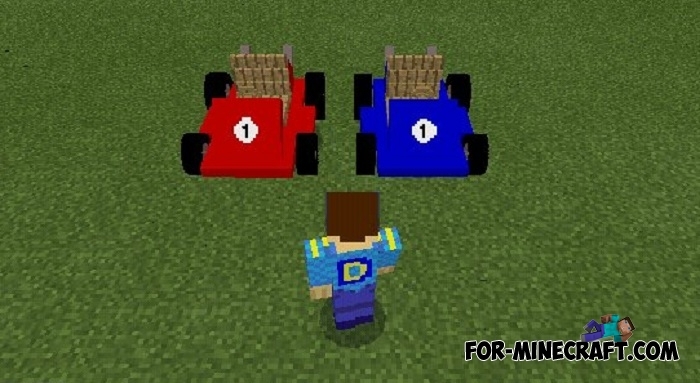 So the karts from that funny game will appear in Minecraft PE thanks to this addon. The addon does not add bonus items, boosters, effects and other Mario Kart features, but it has 12 color options for 12 players. A stadium, a race track or just a fenced rally road can become a place where you and the rest of the players will compete and try to reach the first place. 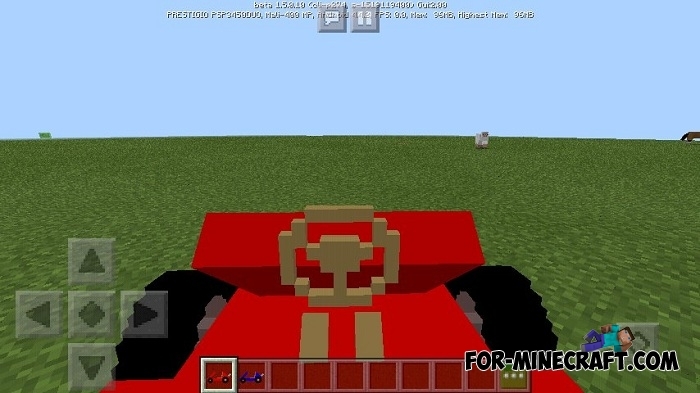 How to install the Mario Kart addon? 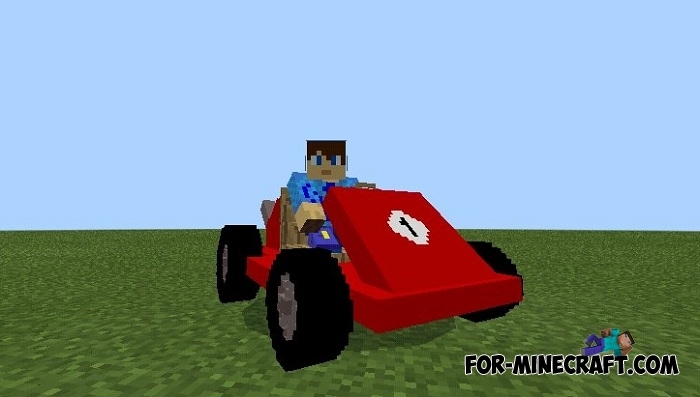 Go-Karts addon for Minecraft PE 1.4+This time, 8Fernancraft created a vehicle that is not quite common in terms of public roads. Go-kart is a small but fast enough and maneuverable..